I have to confess to an abiding love for the Ice Planet 2002 theme. You’d think this wouldn’t be something you have to “confess” to, but if you delve around on the Internet, several of the articles written about the 1993/4 theme have seemed to suggest it was somehow unpopular or controversial. I don’t know about that, but it’s always seemed fine to me. I honestly don’t see what the supposed problem is, and I marvel that what seems like a great theme with a lot of potential only got a single year of run time. The big set of the theme rejoices in two different English language names depending on which side of the Atlantic you are. In the US, it’s the weirdly-named “Deep Freeze Defender”, a name which always brings to mind the freezer section at Wal-Mart; in my native UK it’s the far more interesting “Ice Cruiser Zycon-IV”. Old Space theme sets have a long history of transatlantically differing names: the Space Cruiser and Moonbase (UK) was the Galaxy Explorer (US), while the Cosmic Fleet Voyager (US) was known in Britain as the Taurean Ore Carrier. Building an update of set 6973, then, I’m blowed if I’m going to name it after frozen vegetables, so this is the Ice Cruiser Zycon-IX. 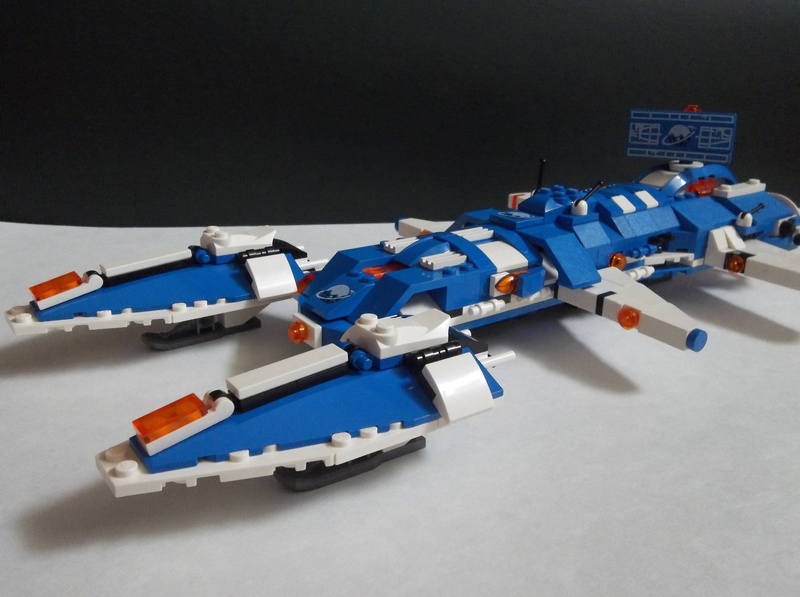 Peter Reid and Tim Goddard already used “Zycon-V” for their microscale update of the main Ice Planet vessel from LEGO Space: Building the Future, so that was out. And anyway, this one’s bigger, so should have a bigger number. I picked “Zycon-IX” as the next I-something Roman numeral after IV. Unlike Reid and Goddard’s Zycon-V (I’m not sure which of them created which of the models in their collaborative book), the Zycon-IX is designed to be able to make planetary landings. This may mean that the Zycon-V is actually bigger than my -IX in “real life”, or it may simply mean that I use a higher tech base in my interpretation of classic LEGO Space themes, and my people can deal better with hull stresses for take-off and landing. Like them, though, and unlike the original theme, I’ve used trans regular orange rather than its neon version for transparent elements. In my case, this is mostly an issue of element availability. Even with its use in Nexo Knights, there still isn’t all that much available in trans neon orange, and we don’t have very much from the Nexo Knights theme in this household. But I actually like the look of the trans orange, particularly over white. In sharp contrast to my recent space battlecruisers and dreadnoughts, the Ice Cruiser Zycon-IX is actually entirely unarmed, at least visually. The Ice Planet crew always seemed like a tougher, more rugged bunch than the Futuron astronauts, but even as an original theme they didn’t have a lot of prominent weaponry. They work in an incredibly hostile environment; they don’t exactly need to be shooting at people on top of that. Besides, in the three-way factional split common to most classic Space themes, Ice Planet represented the neutral or “civilian” faction protected from the dastardly Blacktron II faction (and the Spyrius) by the second-generation Space Police. It’s the Space Police that probably have the guns. It might have made sense to give it a couple of anti-asteroid space blasters or something, though, but by the time I realised it was completely unarmed I was 95% done with the construction and there weren’t too many good places left to fit a pulse laser. Talking about the generation-2 Space Police, it occurs to me that I dislike the Space Police II colours and I dislike the Blacktron II colours. 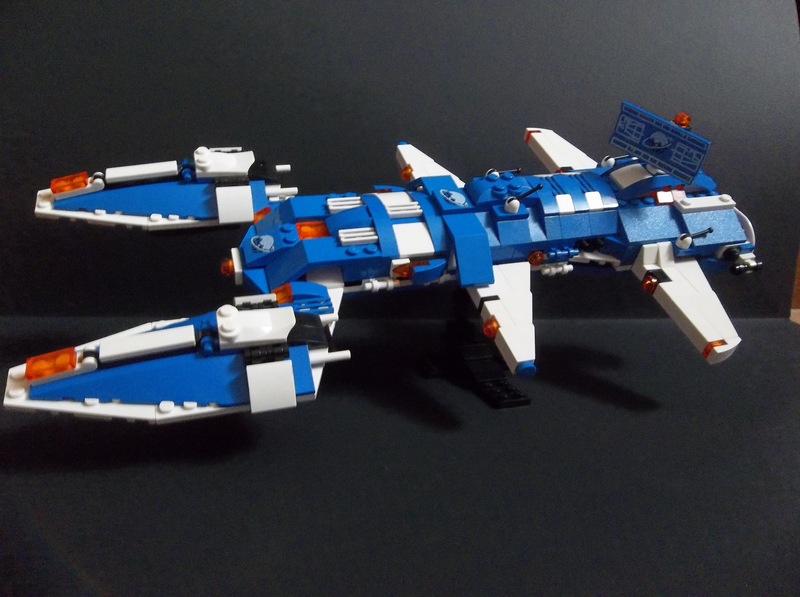 Maybe the LEGO Group were just having a bad time with their Space theme colour palettes. Ice Planet’s the only one from that season that I actually approve of. Anyway, I’ve chosen to dispense with the original Zycon-IV’s complex modularity; the ship split into four sections and could be rearranged into two smaller vessels. I felt that with the kind of upsized microscale transorbital ship I was building, the modular approach was not going to work as well. If the ship were expected to stay in orbit, it might make sense for it to have at least a couple of dockable landing shuttles, for instance, but given that I intended the whole thing to be able to make planetary landings, I decided to eschew modularity in favour of a more unified construction. I think my favourite part is the use of the ice dozer blade element as a radar scanner. I’ve used all three of my Ice Planet logo-bearing elements on this one creation, which may be overkill, but I wouldn’t want to get rid of the scanner. Looking at it, I’m struck by how much the logo resembles a traditional British Christmas pudding, but it’s not outside the bounds of possibility that the Ice Planet organisation did that deliberately, is it? People have all sorts of slightly hokey or humorous logos and mascots; look at the Geico gecko or Ronald McDonald. I’m also quite pleased with that stand that lets it be displayed flying at an angle. Easy and basic perhaps, but I like the nontypical flight pose. Presumably there’s some sort of main cargo hatch in the lower hull allowing the various Ice Planet surface vehicles and VX-122 fliers (“Blizzard Barons”, if you insist on the slightly lame American names) to be unloaded onto the surface. It would actually be interesting to see if I could build any of them at an appropriate scale, but I’m pretty sure they’d all be too small by comparison. 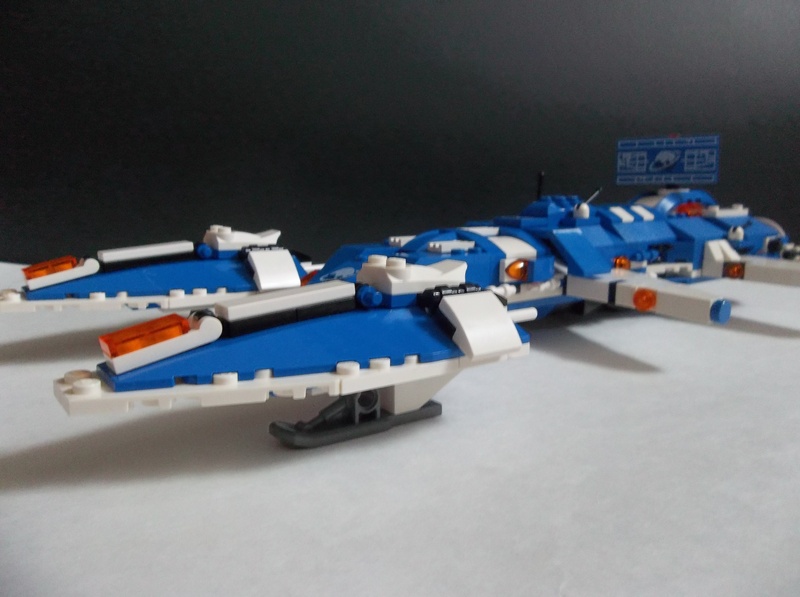 This entry was posted in Lego Space and tagged Deep Freeze Defender, Ice Cruiser Zycon-IV, Ice Planet 2002, Lego, Microscale, MOC, Spaceship on September 13, 2017 by geoffhorswood. Lovely build! I love that first shot you took of it—very reminiscent of the set’s original box art. You’ve done a really nice job with this recreation—it looks very similar to the original and very solid, without being bland or bulky. That radar dish is a great touch. Epic stuff! On a side note, generally speaking I agree that the British set names are far cooler-sounding, though somehow the American ones always spring to my mind instead. Theoretically this is appropriate, given I obviously live in America, but since I only actually discovered these sets online via research, it could’ve gone either way. I do prefer British spelling, after all, though that’s just a product of my literature of choice. Regardless, while I definitely think Zycon-VI and Commander Bear sound cooler than Deep Freeze Defender and Commander Cold, I’ll still always also prefer Galaxy Explorer and Cosmic Fleet Voyager. 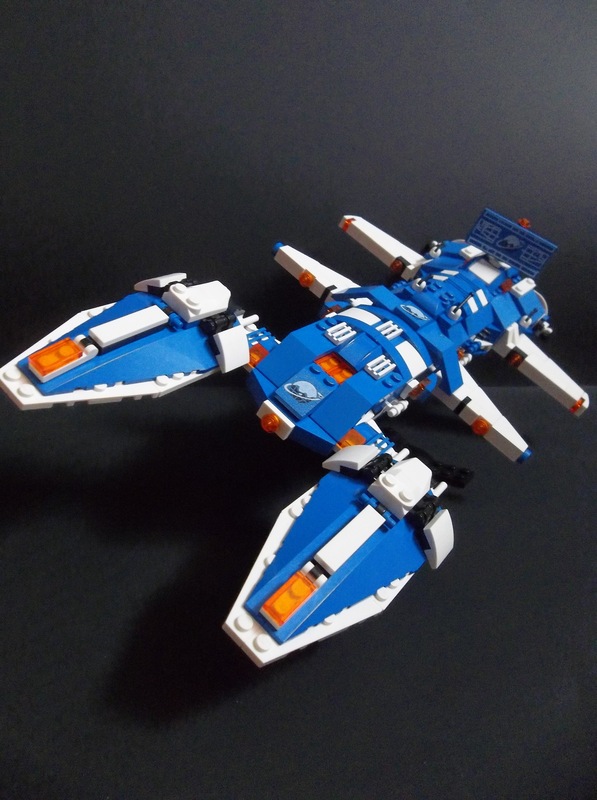 “Space Cruiser” just sounds a bit too generic to me for such a historic set, and, while “Taurean Ore Carrier” is certainly an intriguing name, I think I’m still a sucker for the adventurousness of Cosmic Fleet Voyager. I agree with you on the Galaxy Explorer. I’m rather partial to “Taurean Ore Carrier”, but that’s mostly for sentimental reasons as the name of the big spaceship set I most wanted but never owned. Lots of the Classic Space sets have better US names than UK names (“Astro Grappler” beats the smeg out of “Space Grab”), but in the Ice Planet theme it’s almost exclusively the other way around. The US set names try to be a bit more evocative (“Ice-Sat V” versus “Ice Planet VX-162”), but they mostly seem to come across as cheesy. “Deep Freeze Defender” is the worst offender in this. That’s a very good point, yeah. Ice Planet’s US names do tend to be rather corny. Perhaps that’s why the theme is frowned upon in certain circles. Who knows. Thank you! I wasn’t really connecting that first shot with the original box art, but you’re right. Now you’ve pointed it out I can see the similarities. I may make some more Ice Planet stuff in the near future, but if I do I’ll have to break up the Zycon-IX. I used all of my available Celestial Christmas Pudding logo elements on it, and I don’t have much more in the way of blue slopes either. Celestial Christmas Pudding logo elements, haha. Now that you’ve pointed it out I can’t unsee it. 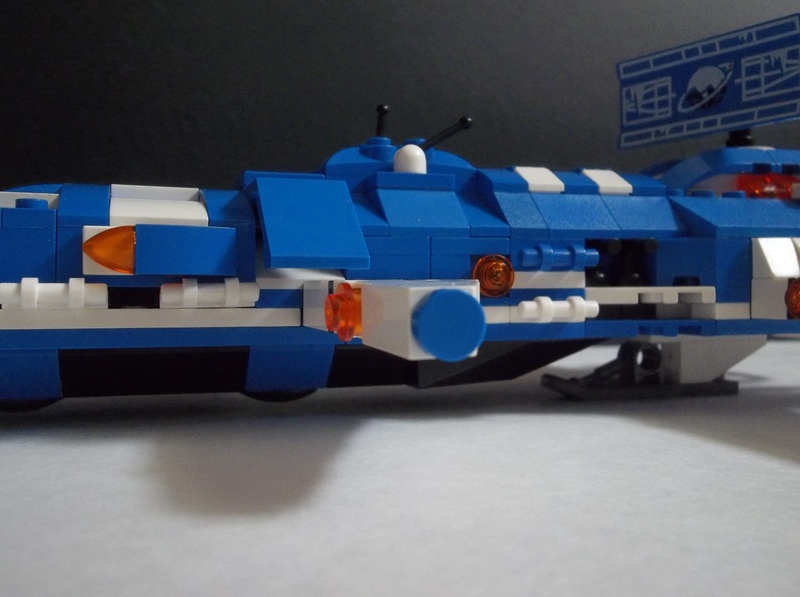 😛 I’m working on an illustrated Lego space serial currently, and if I ever get it off the ground and involve Ice Planet, I’m going to have to allude to that. 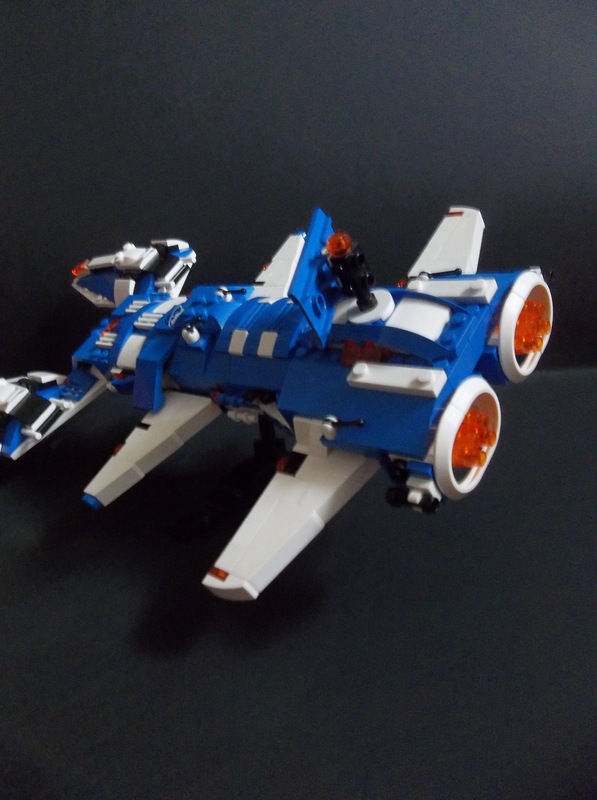 It would be cool to see more Ice Planet builds from you, for sure. You always do an excellent job with them. Cool!! I like Ice Planet 2002 too, though the name is a bit weird imo. Great build!